A 3.5" glass candle holder made for pillars and tapers. 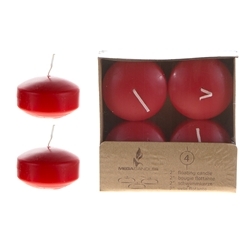 The holder has a rimmed top to hold up to a 3" diameter pillar candle and it has a dip in the center that is perfect for holding standard taper candles. This versatile holder fits in almost any decor and can add a great decorative element to your home or celebration.